Opiates in all their forms whether prescription, illicit or over the counter painkillers are being abused worldwide. Deaths rates around the world have risen alarmingly over the past ten years declaring a worldwide opioid crisis. There has been much talk over the years about America’s ongoing opiate crisis but what about the UK? Prescription opioid painkiller abuse and illicit opiate use have seen a rising trend in the number of deaths resulting from this class of drugs. Due to what some may say uncareful prescribing of opiate pain relief medications and increased availability on the darknet prescription pill addiction has risen tremendously. This has resulted in more deaths being recorded every year than ever before. Abuse of any opiate is extremely dangerous. It is important that if you or a loved one have a problem with opiate abuse or opiate addiction that you seek medical and addiction help without further delay. Opiates are a class of medications that are derived from the opium poppy plant. Described as sedative narcotics, they depress the activity of the central nervous system and reduce pain. Medicinally and recreationally opium plants have been grown and used since prehistoric times. Scientists have traced its earliest use back to 1500 BC. Its pain relieving and euphoric effects were quickly realised, but in those days there was little information around the possible dangers of abusing such a powerful narcotic. Opiates block pain by binding to the brain’s opioid pain receptors and changing the way that brain interprets pain. Although a very effective analgesic, opiates do not cure any ailments. The euphoria this class of drug produces can send a person into an altered state of consciousness. Painkilling opiates are legally available today on prescription in stronger strengths and over the counter in weaker doses; both hold the potential to be abused, and both can cause dependence and addiction. 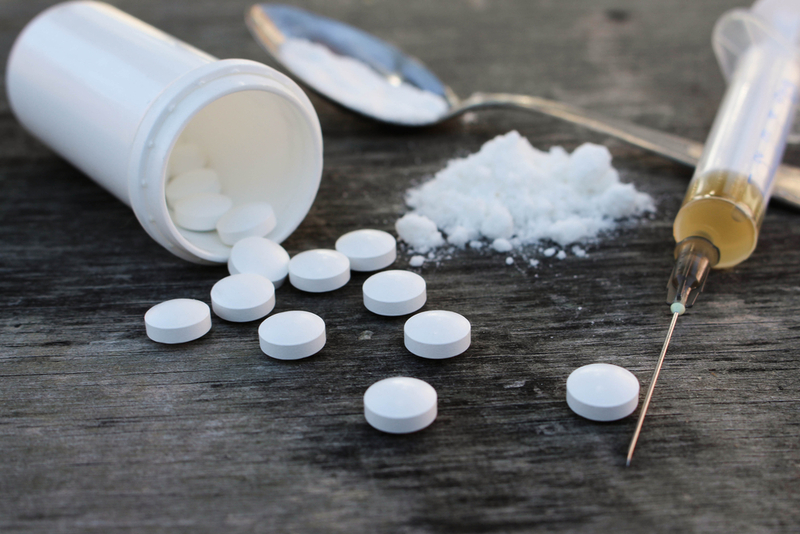 Opioids vs Opiates – What’s The Difference? An opioid is a term that was originally used to differentiate synthetic opiates from pure opiates. Opioids were applied to semi-synthetic and synthetic drugs of the opiate class of medicines. Now the term opiates and opioids are used interchangeably to describe any opiate-based drug or medication synthesised to mimic its effects. Examples of opioids include Fentanyl, Methadone, Tramadol and Oxycontin. Essentially opiates and opioids are the same; some are pure, some synthesised and some semi synthesised. There is a huge variety of opiate-based drugs available. Synthetic and semi-synthetic opioids were originally developed as they were thought to be less addictive and have less abuse potential than pure opiate-based drugs. However, this theory has since been disapproved. In fact, synthetic and semi-synthetic opiates can be harder to withdraw from where a dependence has developed as chemically they are more complex in their structure. The main dangers associated with opiates are abuse, dependence, addiction and overdose. Anyone that is using or abusing opiates regularly is susceptible to developing a dependence and addiction. They are also putting their lives at great risk. When opiates are abused or mixed with other drugs, there is a sizeable risk of overdose. Most individuals unintentionally overdose through not understanding the dangers of mixing opioids with alcohol or drugs presents. If you are using or abusing opiates either on prescription, over the counter or illicitly – please, please ensure that you are fully aware of the dangers associated with this powerful class of depressant drug. Our Detox Plus UK helpline receives numerous calls daily regarding opiate abuse and addiction. You can speak to us in the strictest confidence 24/7 for free and receive expert help and advice. 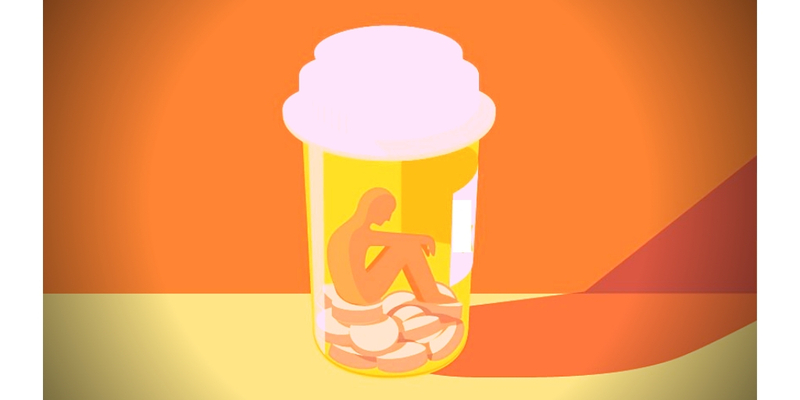 Many that abuse prescription opioids may well start with a prescription for a genuine complaint such as post-operative pain, a broken bone or a back problem. The problem with opioids of any kind is that they cause tolerance and dependence to build very quickly – within 2 to 10 days of continuous use. You may be tempted to manipulate your doctor for a repeat opiate prescription long after the complaint has been resolved as you fear to go through opiate withdrawal. If you are using prescribed opioids for prolonged periods, it is very likely that you will build a tolerance to their effects and a physical dependence on them. This means that the dosage prescribed will lose its analgesic effectiveness and you may start to suffer from opiate withdrawal symptoms. If opiate dependence occurs, you may well be tempted to increase the dosage yourself. It is crucial that you seek your doctor’s advice if this is your experience. Not adhering to a prescription is how most opiate addictions commence. Other forms of prescription opioid abuse involve purchasing opiate medicines from the black market; this may be from the darknet or a street dealer. Many individuals also access opiates from friends or families who have prescriptions. You may well see this as harmless and a case of needs must, but there is a very good reason for not taking a prescription medication that does not belong to you, even if you are in genuine pain. Prescription opiates and opioids can be abused in many ways. Another common form of prescription opioid abuse is to seek and take prescription strength opiates purely for their euphoric and calming effects. This has nothing to do with using them for the purpose intended which is pain relief. Abusing prescription opioids purely for euphoric high carries added risks. Individuals are more prone to be reckless, take more risks and mix them with other substances. If you or a loved one are abusing prescription opioids in any form, it is important that you seek professional help without delay. Prescription opiate withdrawal doesn’t need to be painful, and drug rehabs are able to offer medical opiate detoxes. Please call Detox Plus UK for information on private opiate detox. Opiate addiction is created through repeated exposure to opiates. When opiates are frequently used or abused the brain’s chemistry and structure changes over time; these changes cause the individual to compulsively seek and take opiates. Once opiate addiction has occurred, the individual will find it exceptionally difficult to stop opiates and stay drug-free without professional intervention. Even then, staying clean can become a daily battle. 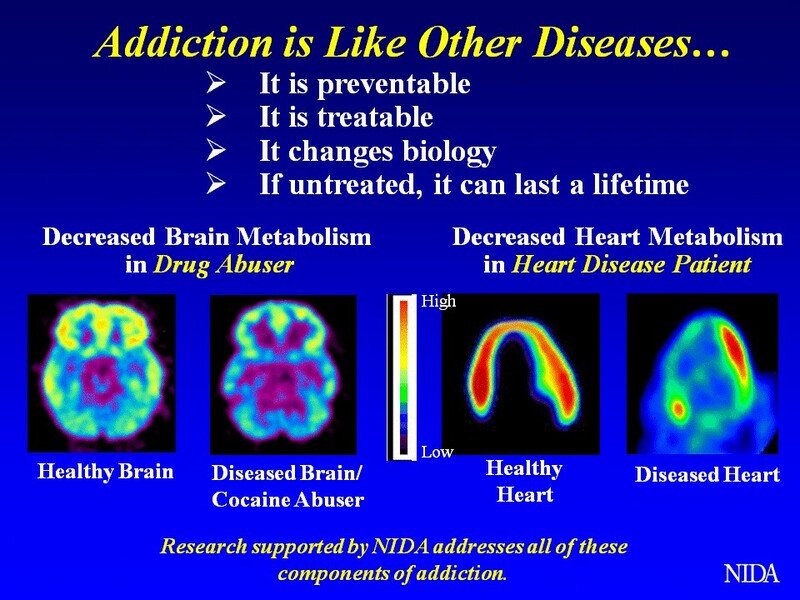 Addiction is a progressive illness that only gets worse over time without the correct treatment. By the time the individual reaches crisis point and asks for help, typically they will have usually lost a great deal in terms of their addiction. 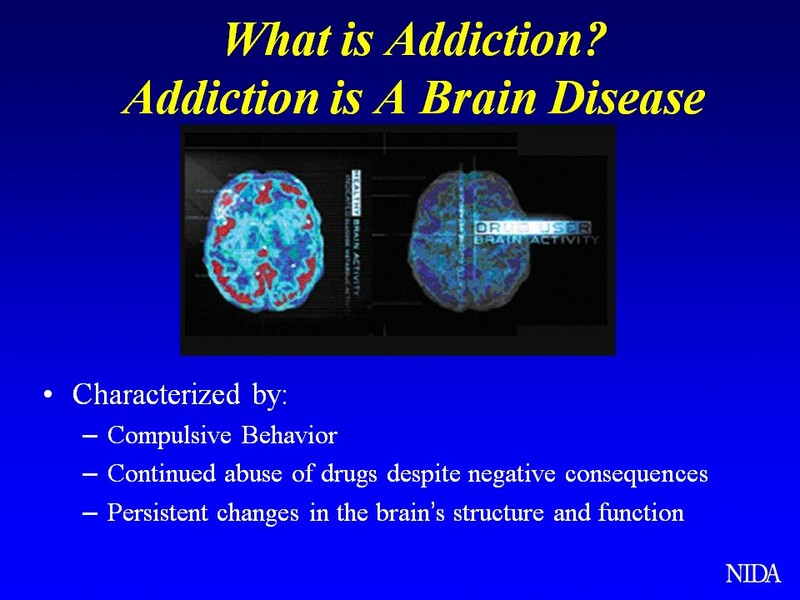 Opiate addiction has been proven to change and restructure the brain. Once manifested, it is very difficult to reverse. Removing the drug through a medical drug detox is simply not enough as the brain will remain in the same altered state. An opiate addicted brain compels the individual to seek and take opiates as a baseline solution to problems and feelings. Recovery from opiate addiction can be very difficult to maintain. However, it IS possible to stay free of opiates if the individual is prepared to put the work in to help rehabilitate themselves with the assistance of professional treatment. Successful opiate addiction treatment for opiate addiction requires psychological and cognitive behavioural therapies to assist in changing the individual’s mindset and provide them with strategies and coping mechanisms to maintain abstinence and prevent relapse. 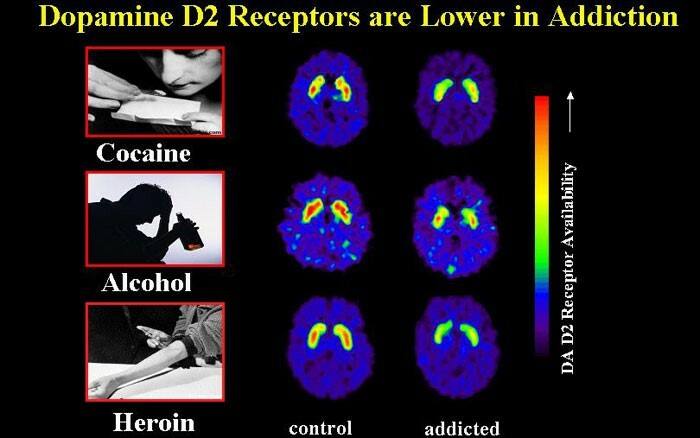 Dopamine and how it is controlled is heavily linked in the creation of opiate addiction. Opiates induce euphoria and block pain by binding to the brain’s opiate pain receptors and releasing dopamine into the brain in abundance. Dopamine is a naturally occurring chemical that acts as a messenger between brain cells. Dopamine plays an important role in many of our daily behaviours. It affects how we move how we eat, our motivation levels, our emotions, how we learn and whether we become addicted to drugs. Dopamine is released as a reward and is a feel-good chemical. Drugs such as heroin, opiates, cocaine, alcohol and even sugar cause huge (but temporary) spikes in the levels of dopamine available in the brain. This spike is responsible for the euphoric high received in drug taking. It is the reward from the dopamine spike that prompts drug addicts to seek out and take drugs again and again – even when there are negative consequences at stake. Repeated use and abuse of opiates alter the brain’s reward system. Eventually, at the peak of drug addiction, the brain stops producing its own dopamine naturally. The only way an addicted individual can feel any pleasure at all is to seek and take the drug that the brain responds to. This explains why drug addicts continue to take drugs even when they are greatly suffering as a result. For recovery from opiate addiction to occur the addicted brain must abstain from opiates, be allowed time to heal and be retrained to seek healthier ways of stimulating the reward system. Opiate tolerance occurs once the brain has adjusted to function on a certain dosage of the opiate drug. The drug, as a result, loses its euphoric and analgesic effects. The individual will need to take more of the drug to gain the original desired effect or swap to a stronger form of opiate. Tolerance to opiates develops over time and with frequent use. Opiate dependence is where an individual will require a certain dosage of an opiate drug just to stave off opiate withdrawal symptoms. This regularly occurs once a tolerance to opiates has developed. It is entirely possible for someone to be physically dependent and tolerant on an opiate drug without being addicted. This is common in long term opiate pain management. As they are not abusing the opiates for their euphoric effects, the drug works as it should – as an effective analgesic. They may require a medical detox, but once the detox is complete, they will no longer obsess or crave opiates unlike an opiate addict would. Opiate addiction is what kills most individuals who suffer drug poisoning related deaths. Opiate addicts will go to extreme lengths to ensure their addiction is satisfied. Not only does an addicted individual usually suffer from dependence and tolerance through repeated use, but they also suffer from a mental craving and obsession for the drugs rewards that is beyond their control. The compulsive and obsessive aspect of opiate addiction is what kills so many. They become powerless to stop and stay stopped and will usually chase the drug to the gates of institutions, prisons, insanity or death. If you have an addiction to an opiate, it is vital that you get help without delay. 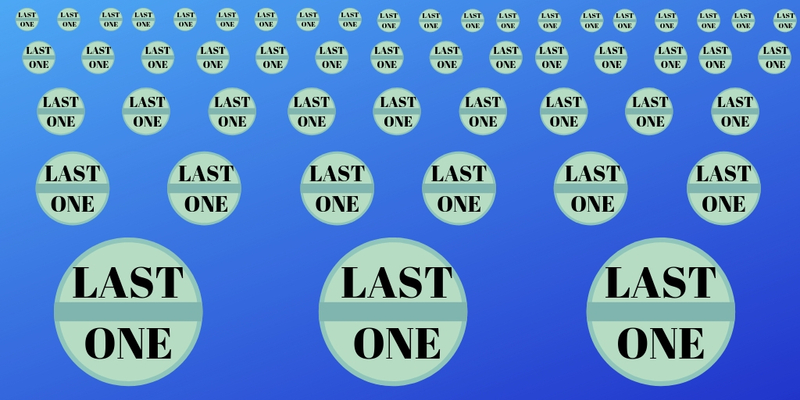 Most addicts swear that they will “Use this one last time, before quitting”. Sadly for many their addiction is too powerful to allow for this to happen. This list is not finite; there are many factors and behaviours that are typical of opiate addiction, but if you do identify with any you certainly have a problem that warrants further investigation by an addiction specialist or medical professional. Opioid addiction is both a mental and a biochemical illness. Opioid addiction is caused by a disease of the brain that develops and progresses over time with repeated exposure or abuse of opioids. No one knows for sure why some opioid users develop an addiction and others just a dependence, but there is a definite difference between the two. Addiction is a chronic relapsing brain disease; once it has developed, there is no going back to recreational use or controlled use. Abstinence is the only suggested way of stopping the disease from further progressing. Someone with an opioid addiction will suffer from both a physical craving and overwhelming mental obsession and compulsion to take opioids. Even once the physical aspect of opioid addiction has been treated successfully with detoxification, the mental aspect will remain and often lead to relapse. 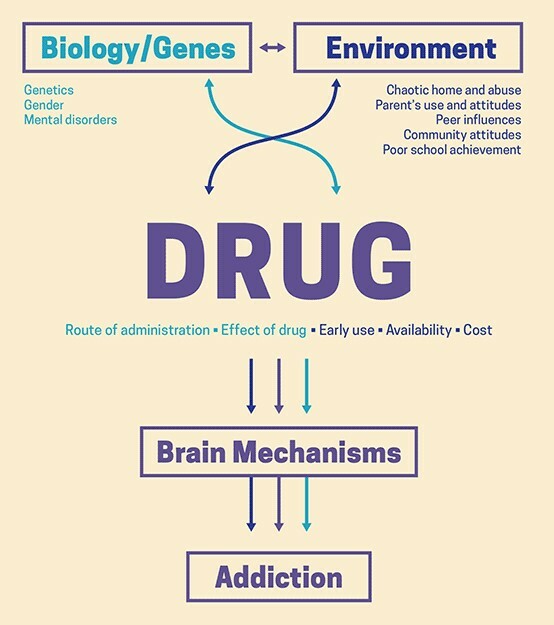 This is why psychological evidence-based addiction treatments are a critical part of drug rehabilitation. There are many risk factors that can contribute to developing an opioid addiction, aside from the fact that it is a very addictive group of drugs. With addiction, there are certain calculated risk factors that can make an individual more susceptible. Biological makeup, genetics and environment all play a part. Other risk factors are trauma, mental health illnesses, childhood bullying and neglect. Troubled children are especially at risk as their brain is still in the most critical growth period and very vulnerable to chemical influences. Many that suffer from the disease of addiction start experimenting with various drugs at a fairly young age, typically between the ages of 11 and 15. This sets up a pattern for progression on to other drugs, or they may just find the right drug that does for them what they cannot do for themselves straight away. Opiate addiction can be avoided and prevented. If you are taking opiates and find yourself craving more and more as time goes on, remember you can stop the cycle at any point by asking for professional help. Education plays a very important part of preventing opiate addiction. It is wise to educate yourself and other family members on the associated risk factors and dangers before taking opiates. If you possess certain risk factors that could make you more vulnerable to developing an addiction, please consider non-addictive alternative pain relief first and discuss your concerns with your doctor or pharmacist. Exceptional caution around opiates should be exercised by those that have suffered previous mental health issues or addiction problems including alcoholism. If you do identify with any of these common characteristics of an opiate addict it strongly indicates that you have an addiction problem. Please contact Detox Plus UK for immediate professional opiate addiction help and advice. Abusing opiates, whether prescribed painkillers or illicit heroin, can have serious consequences to your body and overall health. Those that use illicit opiates, especially of the very strong variety, i.e. heroin or fentanyl, and inject intravenously are at the most risk of overdose or causing irreparable damage to their body. Long term use, abuse or addiction to opiates can also cause cognitive impairment and depression. Opiate withdrawal should never be attempted without first consulting with a physician or addiction specialist. There is a chance that if you are addicted to high levels of strong opiates that your withdrawal symptoms could become life-threatening. This is especially true for those that have had an opiate dependence for a substantial period. Severe opiate withdrawal symptoms or acute opiate withdrawal can be dangerous. Symptoms such as imbalanced electrolytes, rapid heart rate and seizures can put your life at risk. It is for this reason that it is recommended that individuals who have a long term or heavy addiction to opiates attend a drug rehab centre for medical opiate detox. This is clinically proven to be the safest way with a chronic opiate problem. For further information on private drug rehab for opiate addiction, please call and speak to one of our friendly and experienced drug treatment experts. 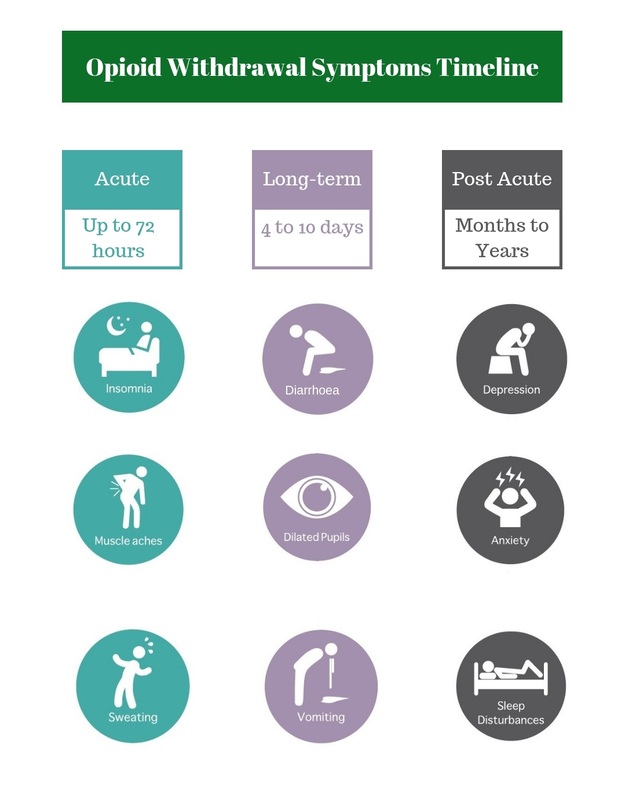 Early stage opiate withdrawal symptoms typically occur between 4 and 24 hours from the last dose of opiates depending on the type of opiate and frequency of administration. The later stage of opiate withdrawal symptoms generally starts between 30 and 72 hours after the last dose of opiates. Again this time frame can be affected by the strength, route of administration and type of opiate. The later stage tends to last for anything between 4 and 21 days depending on the type of opiate, route of administration, dosage, frequency and duration of opiate dependence. The final stage of opiate withdrawal only tends to occur in those that have had a long term chronic dependence or addiction to opiates. Symptoms can be protracted and go on for some time. In some cases of severe opiate addiction, it can last for months and up to 1 year. Protracted opiate withdrawal symptoms or PAWS for short presents symptoms that tend to come and go in waves. The waves of PAWS tend to become less frequent and diminish in their severity over the course of time. It is important for any individual experiencing PAWS symptoms that they access addiction support to help them through this difficult time. Regularly accessing addiction support helps to reduce the chances of opiate relapse. Because of the above factors varying from person to person, it is not possible to give a definitive answer as to how long opiates stay in your system for. However there are guidelines that are issued to local drug and alcohol teams that can be considered. 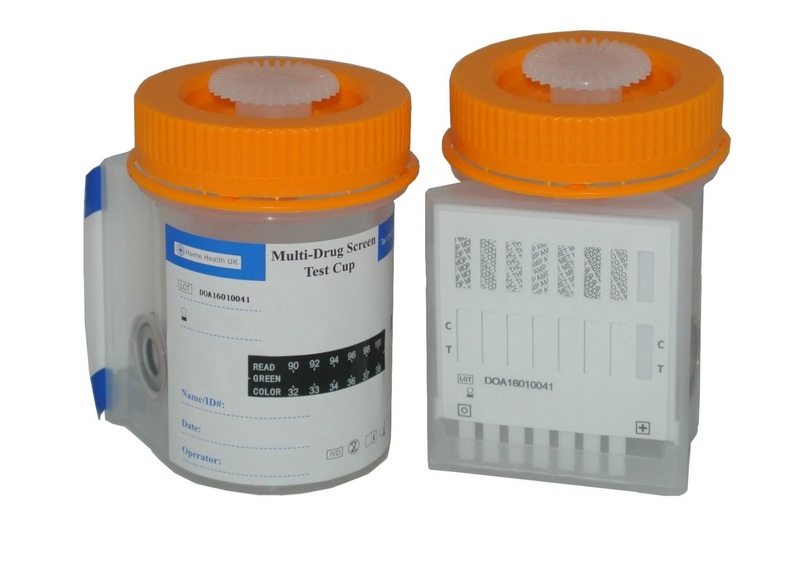 As a guiding rule opiate drugs can be detected in saliva for longer than in urine. Hair samples can pick up traces of opiates weeks to months after the opiates have been stopped in a chronic user. Pharmaceutical medications are available to help reduce opiate withdrawal symptoms. However, it is likely you will only be able to access medications if you undergo a full opiate drug detox within a CQC registered detox clinic or rehab centre. The worst part of opiate withdrawal is the psychological symptoms which include acute anxiety, strong opiate cravings and paranoia. These psychological symptoms of opiate withdrawal can amplify the physical withdrawal symptoms to a point where the individual seeks relief in more opiates. Opiate withdrawal symptoms can be reduced in several ways, although dealing with full-blown opiate withdrawal in the community will test most individuals resolve never to use again. Assuming you are unable to access drug rehab for opiate treatment, it is wise to discuss an opiate reduction regime with a doctor before starting. Having someone with you while you detox can be very helpful, providing they are going to support you in your attempt to stop. It is important to ensure that you stay well hydrated while detoxing to avoid electrolyte imbalances which can become life-threatening if not medically treated. If you are unable to stomach food, speak to your doctor or pharmacist as to which dietary supplements are best for you. Regular paracetamol and ibuprofen will assist with fever and muscle aches. Your pharmacist or doctor will be able to make recommendations for dealing with stomach cramps and diarrhoea. If you are undergoing a community opiate detox, it is helpful to engage in community therapy or self-help groups such as Narcotics Anonymous or SMART Recovery. Your local drug and alcohol team will also be able to provide groups and keywork sessions also. Moral support can go along the way in encouraging you through the worst of the psychological symptoms associated with opiate withdrawal and help prevent opiate relapse. It is possible to undergo a community opiate detox with the assistance of your doctor or local drug and alcohol team. Please enlist both to ensure you have as much support in place as possible before starting. If you are able to finance private drug rehab, a full medical opiate detox is recommended. This is clinically the safest way to detox as you will be monitored throughout and provided with approved prescription medications to help reduce opiate withdrawal symptoms. You will also undergo proven addiction treatments to help prevent relapse and show you how to live an opiate-free life. Unearthing and healing the root causes associated with an individual’s opiate addiction is an integral part of successful addiction treatment. Talking therapies and holistic therapies also assist in reducing symptoms and psychological rehabilitation. For more information on our CQC registered opiate detox clinics and drug rehabs please call and speak to Detox Plus UK. We can assess you as an individual before making appropriate recommendations. Where can I find help, treatment and support for opioid addiction? 3. Access private opioid addiction treatment through a rehab where inpatient and outpatient programmes are available. We can discuss this particular option with you in depth so please call and speak to one of our addiction treatment experts and counsellors. Pharmacological interventions assist in treating the physical withdrawal from opiate addiction and dependence. They work by reducing the withdrawal symptoms and making the detox more manageable. To avoid complications, pharmacological interventions should only be conducted professionally and with support, ideally within a rehab environment. Clinical guidelines state that professionals and medical care should be available 24/7. Realistically this level of care can only be delivered within a residential drug rehab environment. Opioid detox medications should only be used on a short term basis to assist with the worst of the withdrawals. When used long term there is the added implication of the individual developing a secondary addiction to the medication. Furthermore, any pharmacological intervention used to treat addiction needs to be part of a full rehabilitation programme. This helps to prevent relapse and ensures that all aspects of the addiction are treated in full. The NICE guidelines recommend the following pharmaceutical medications for opiate detoxification. Opiate detoxes need to be bespoke and take into account numerous factors personal to the individual to determine which medication is likely to work best for them. If you need treatment for an opiate abuse problem, dependence or addiction and also suffer from a mental health illness, accessing the correct professional treatment is crucial to your long term recovery. Opiate addiction and long term opiate use is often accompanied by depression; this results from the opiates affecting the way the brains rewards system works. If you suffer from both depression and opiate addiction, it is imperative that both conditions are treated simultaneously for the maximum chance of long term recovery. Treating depression, anxiety or another mental health illness while you are still using opiates will prove pretty fruitless, as any medicinal or therapeutic treatment will be counteracted by the effects of opiate drugs. Treating your opiate addiction and leaving a remaining depression untreated is likely to result in a drug relapse. The best dual diagnosis treatment available is through private rehab who have the capacity to treat both conditions simultaneously. Extended rehab care is highly recommended if you suffer from dual diagnosis. Secondary rehab care or supported living accommodation can be helpful in enabling you to make a full recovery. Extended rehab care and supported living to allow for additional time and support while you adjust to living drug-free. Once the opiates have been safely stopped, you can also be comprehensively assessed and monitored for any remaining mental health illness and receive appropriate treatment where needed. There are many evidence-based addiction treatments for opioid addiction. Treatment plans should incorporate all aspects of the person’s addiction and any additional illnesses presenting. It is important to treat the mind body and spirit as a whole. Successful opiate addiction treatment programmes are individually devised according to personal treatment requirements. Just because two people take the same drug, does not mean that they would both respond to the same treatment methods. Treatment plans also need to be flexible and regularly reviewed with the patient to ensure that they are receiving the best possible care at all times. “To address common associated or co-occurring mental disorders, for example, cognitive behavioural treatment to address depression. The type of psychosocial intervention should be selected based on the problem and treatment need of the specific patient, guided by the available evidence base of effectiveness, and not solely according to the interests of the clinician”. Private drug rehabs adopt these guidelines and provide counselling and psychotherapy using proven talking therapy techniques that formulate a trusting alliance with each patient. For patients that find expressing themselves through talking difficult, private rehabs also offer other mediums of communication that enable patients to express their feelings safely – such as art or music therapy. 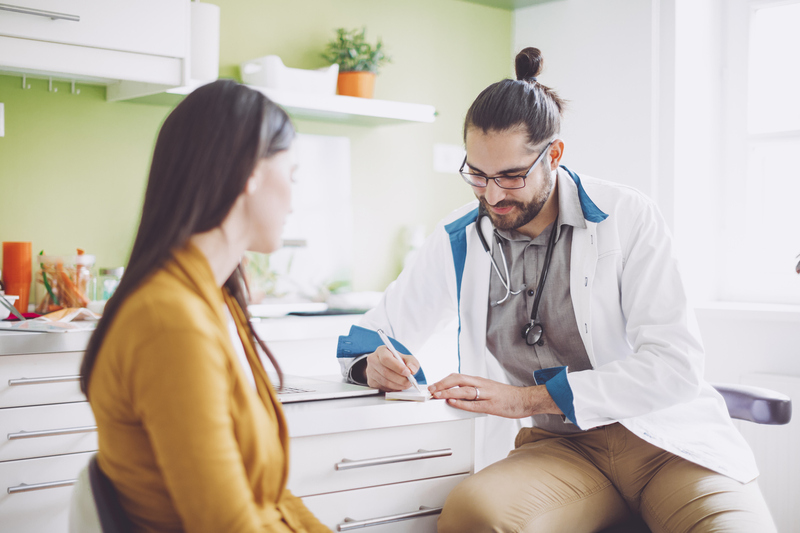 As with treatment for any substance addiction, opioid addiction treatment needs to be flexible so that each patient has their treatment needs met. It is a well-known fact that these needs are met better by the private rehab sector than in the NHS healthcare system. For individuals that suffer from protracted opiate withdrawal symptoms, usually chronic opiate users, ongoing support and treatment is a must. Some opiate rehab clinics do offer supported living in the community, and for an individual suffering from PAWS, this can be invaluable in terms of ongoing support. Detox Plus UK works with several rehabs that offer third stage supported living accommodation. Call us today to find out more. As well as therapeutic treatments designed to enable the patients with a safe form of communication, holistic therapies have also proven useful in treating opiate addiction. To ensure that you or your loved one access the treatment that is correct for your individual treatment needs and requirements we suggest calling Detox Plus UK. We will conduct a free of charge assessment and make appropriate recommendations based on the outcome. The UK is currently facing an opioid crisis; stronger and purer drugs are available on the streets and the black market. Over the last decade, there has been a marked increase in illicit opiate purity. Heroin, a Class A illicit opiate, is now often contaminated with other drugs to make it more potent including Fentanyl and Carfentanyl. These two extremely powerful opiate drugs have been responsible for a substantial rise in overdose deaths relating to IV Heroin users. In 2017, there were 1,164 deaths involving Heroin and Morphine in England and Wales. A staggering number of deaths that could have been prevented if the correct opiate treatment had been accessed in time. 2017 saw yet another rise in Fentanyl-related deaths, with the number of deaths recorded for England and Wales peaking at 75. This is a 29% increase from the previous year which recorded 58 fentanyl-related deaths for England and Wales. 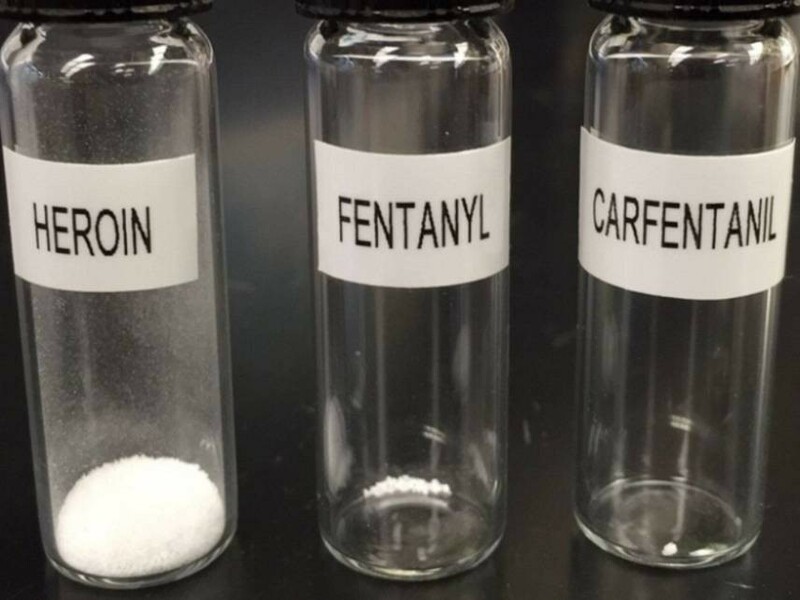 Carfentanyl, a synthetic opiate much more potent than fentanyl, was first seen mentioned in death certificates in 2017 and accounted for 27 deaths, that is, 87% of the 31 deaths related to fentanyl analogues in 2017. Codeine related drug deaths also increased from 131 in 2016 to 156 in 2017, an increase of nearly 20%. Prescription drug abuse has also increased, leading to more opiate-related deaths. 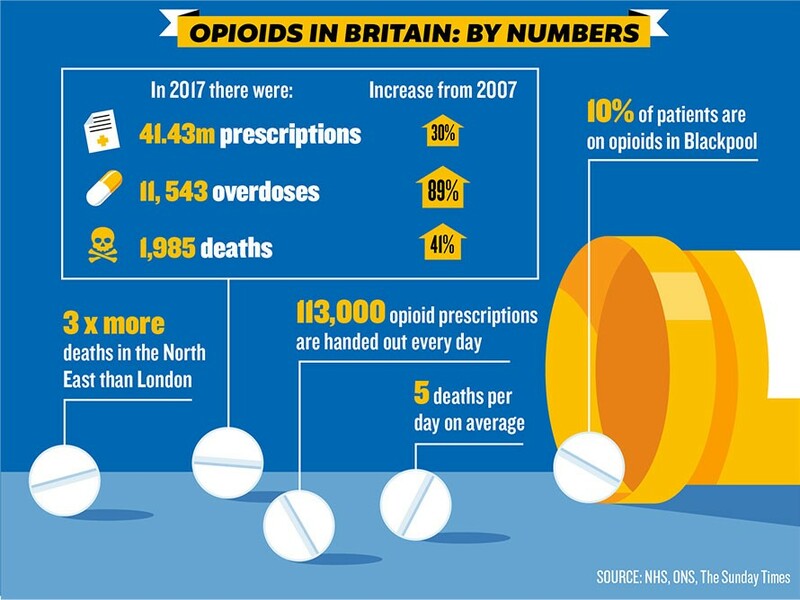 In 2016, 2,038 deaths were recorded as a result of opiate abuse in England and Wales; 1, 209 of those deaths were caused by heroin/morphine and the rest attributed to medicinal opioids. Drug deaths in Scotland paint an even bleaker picture. In 2017 a shocking 934 Scots suffered a drug-related death. This is the highest number of drug-related deaths recorded for Scotland since record first began in 1996. Figures released by the National Records for Scotland showed that Opiates and opioids, such as heroin, morphine and methadone, were implicated in, or potentially contributed to 815 deaths (87 per cent of the total number in 2017). Benzodiazepines such as diazepam and etizolam were implicated in, or potentially contributed to 552 deaths (59 per cent). Of the 934 drug-related deaths recorded for Scotland, 70% were male. 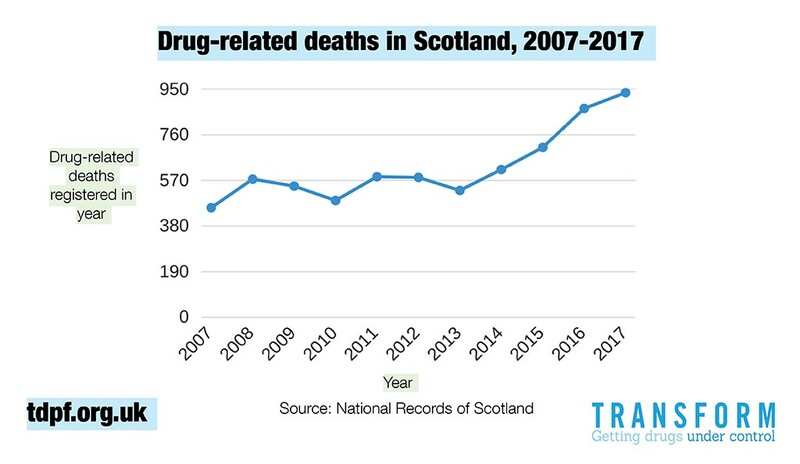 Scotland’s figures imply a drug-death rate that is higher than those reported for any EU country in 2017, and it is evident that opiates and opioids have a huge part to play in this. Over recent years there has been more availability of prescription opiate painkillers that can be purchased online without a prescription. This has contributed considerably to the rise in prescription opiate drug abuse. The Global Drug Survey conducted in 2015 reported that the United Kingdom and Scotland are ranked 5th and 6th respectively, out of all countries surveyed for purchasing the most illicit drugs from the darknet. How do I avoid opiate withdrawal symptoms? The best way to avoid opiate withdrawal symptoms is to take them on a very short term basis only, under the supervision of your doctor, so that you do not become physically dependent. Alternatively, discuss less addictive alternatives with your GP or pharmacist. What helps with opiate cravings? If you are physically dependent on opiates, the withdrawal will produce intense cravings for opiate drugs. Opiate cravings can be helped by taking an approved detox medication. Holistic and therapeutic interventions are also very helpful. Can I get free rehab for opiate addiction? Free rehab for opiate addiction has extremely limited availability. Please contact your local drug and alcohol team to find out if you are eligible to apply for local rehab funding. What is the best rehab for opiate addiction? The best rehab for opiate addiction depends on the individual’s treatment needs. Treating addiction is complex and so what works for one person may not work for another. To discuss your personal treatment requirements and find out which rehab is best for you, please call Detox Plus UK. Naloxone and naltrexone are commonly used opioid antagonist drugs which are competitive antagonists that bind to the opioid receptors with higher affinity than agonists but do not activate the receptors. This effectively blocks the receptor, preventing the body from responding to opioids and endorphins. Naltrexone and Naloxone are commonly used in opiate and opioid addiction treatment. The NIH states that between 40 and 60 percent of drug addicts will relapse. For heroin, statistics suggest that up to 80 percent of heroin addicts will relapse. This shows that only a very small percentage of opiate addicts stay clean and that of those that do, most receive intensive professional treatment and ongoing support.